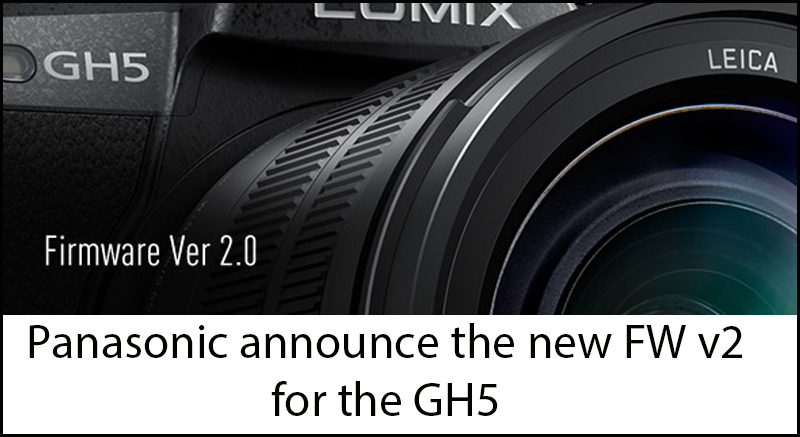 GH5 FW v2 has been announced..No sign of the new software on Panasonic’s web site yet ? 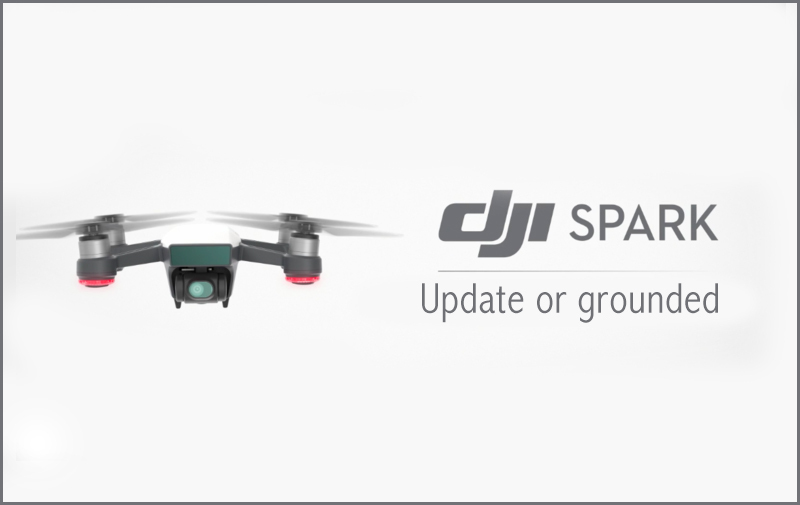 Sorry but as end users we have been waiting quite a while for this firmware and can’t quite understand why we have to wait a further month to use it. Now still life, portrait and macro photographers will be able to check composition on the big screen and control camera functions remotely via a new tethered shooting mode. Using the new Lumix Tether software users can connect the GH5 to a PC via USB and record stills, video and 4K/6K Photo sequences. The software allows control of all the main features of the camera, including exposure, focus, white balance, flash controls and file formats – to name just a few. With the camera connected to the computer we can preview our images, make adjustments and inspect the results from a distance. The images can be saved to the camera’s memory card or downloaded directly to the computer as they are recorded. 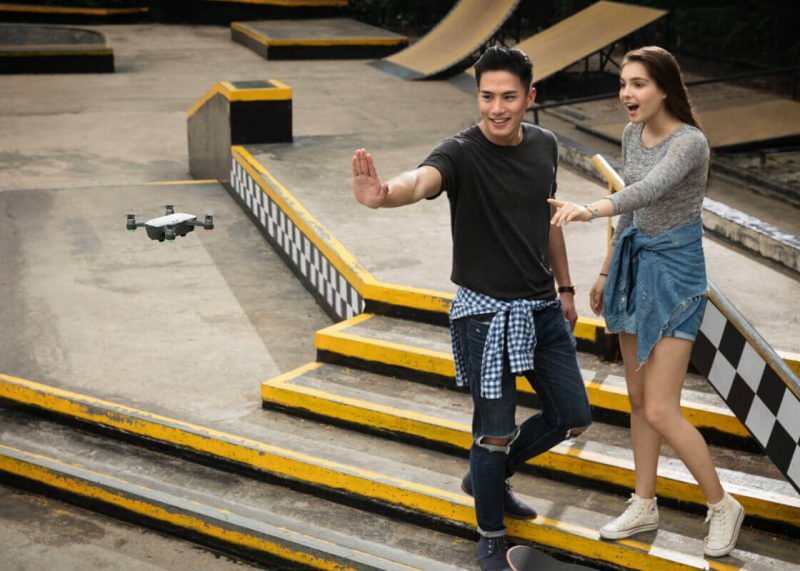 The GH5’s AF system is improved in performance and handling for both still and video shooters. An important change comes in the camera’s ability to work in low contrast areas, as this helps in both still and video work. Autofocus tracking is also improved in video modes, and when using the AF Tracking feature we can now place the tracking box on the screen before the subject has arrived. Also now the AF point can be moved during Burst mode if the subject is traveling across the frame. If you want to keep an eye on what is being focused on there is now an option to keep the AF display on when multi-area modes (auto or custom) are in use. Better processing has reduced the time we have to wait between one 4K/6K Photo burst and the next, and now the AF point can be shifted while a 4K/6K Photo sequence is being recorded. 6K Photo can also now be used in loop recording mode. 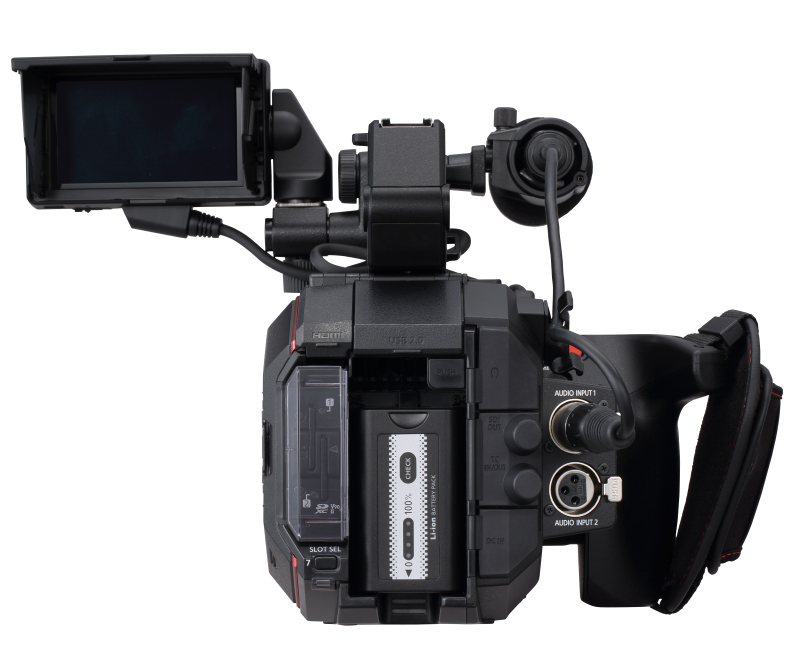 The new firmware adds 400Mbps data rates and 4:2:2 10-bit colour as well as ALL-Intra compression to the camera’s 4K and Cinema 4K video formats. This improves the range of tones and colours that can be recorded, while the compression works on each individual frame rather than on groups of several frames at a time. All-Intra compression also reduces the file size of your video so we can fit more into the same space on the memory card. Those who shoot in Full HD will benefit from an additional 200Mbps mode, also with the enhanced colour and compression characteristics. The Lumix DC-GH5 is, according to Panasonic, the first digital camera that’s capable of shooting ‘HLG’ 4K HDR video. HDR stands for High Dynamic Range, and means that the camera can produce a wider range of brightnesses in its video to create footage with detailed highlights as well as shadow areas. This mode is designed to work with the new wave of 4K HDR televisions and computer monitors, and will allow users to continue to create technologically advanced content well into the future. Firmware Version 2.0 enhances the DC-GH5’s ability to record anamorphic content with new 6K resolution settings, as well as giving 4K anamorphic formats the extra bit rates and colour depth introduced to normal video shooting modes. 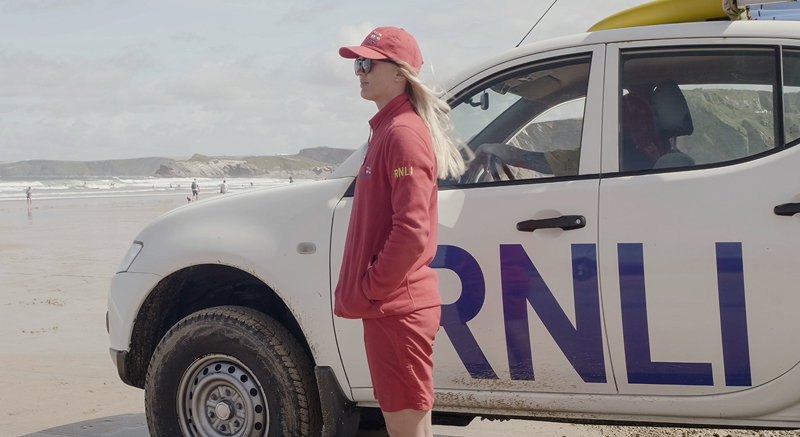 Anamorphic shooting is assisted by a new de-squeeze display mode that compensates for the squeezing effect of the lens to show what the letterbox-shaped footage will look like after stretching in post-processing. Guide line options allow users to preview the area that will be used as well, with guides selectable for 1:1, 16:9, 2.35:1 and 2.39:1 formats. A new in-body stabilisation mode is available that’s designed for use with anamorphic lenses and adapters, and users have a choice of 1.33x and 2x settings to match the characteristics of the lens in use. 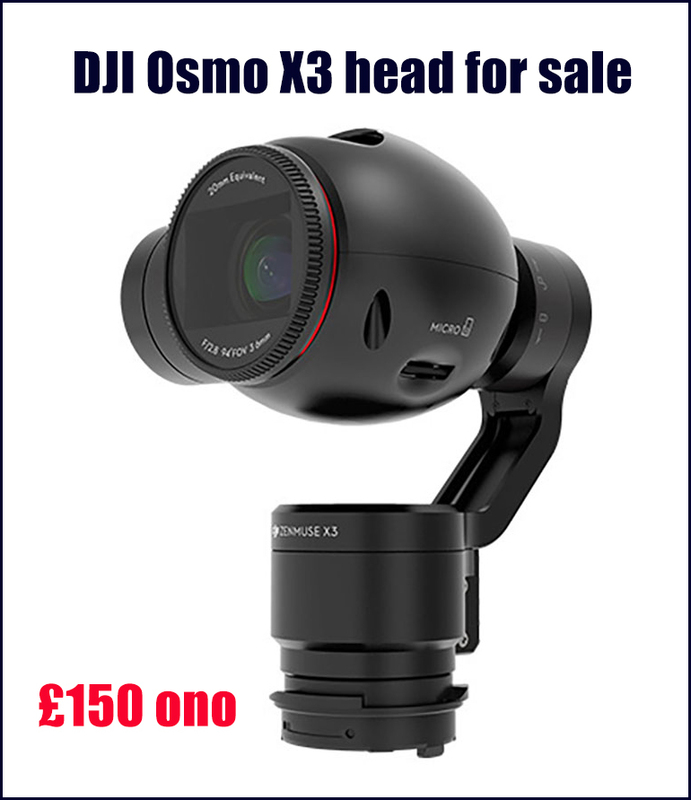 Using almost the full sensor the anamorphic mode allows lenses to squeeze wide views into a 4992×3744-pixel frame (full sized stills are 5148×3888 pixels) which can then be stretched to the 2.39:1 format and 8948×3744 pixel dimensions. Stills from the de-squeezed footage contain 33.5 million pixels. Bluetooth plays a much bigger role in the wireless communications between the DC-GH5 and your smartphone with Version 2.0 firmware. Previously Bluetooth could be used to connect the camera and phone, while WiFi took over for the hard work. With the new firmware the camera can be controlled via Bluetooth, so users can access the shutter release remotely. Bluetooth also allows for a shutter lock to be activated for Bulb exposures or burst sequences, and video recording can be started/stopped in the same way. * [I.S. Lock(video)] is added. This powerfully compensates for handshake when the viewing angle is fixed. * A new handshake correction mode is added, which provides optimum correction when using 2.0x and 1.33x anamorphic lens. * When the K (Kelvin) value was changed after adjusting the color temperature with 2-axis white balance compensation, the setting was reset. This bug has been fixed. * The time to finish shooting and the number of recordable pictures are displayed on the stand-by screen. * Power Save LVF can now be used in all stand-by display options. [Min. Shtr Speed] [RAW Processing] [Rec/Playback Switch] [Destination Slot] and [Mic Level Adj.]. In Backup Rec, there were cases where the file number was not reset even after applying resetting. Extended low ISO, [i.Dynamic] (Intelligent D-range Control) and Highlight Shadow. I saw this in a tweet and decided to blog about it as I can’t quite understand where its coming from. 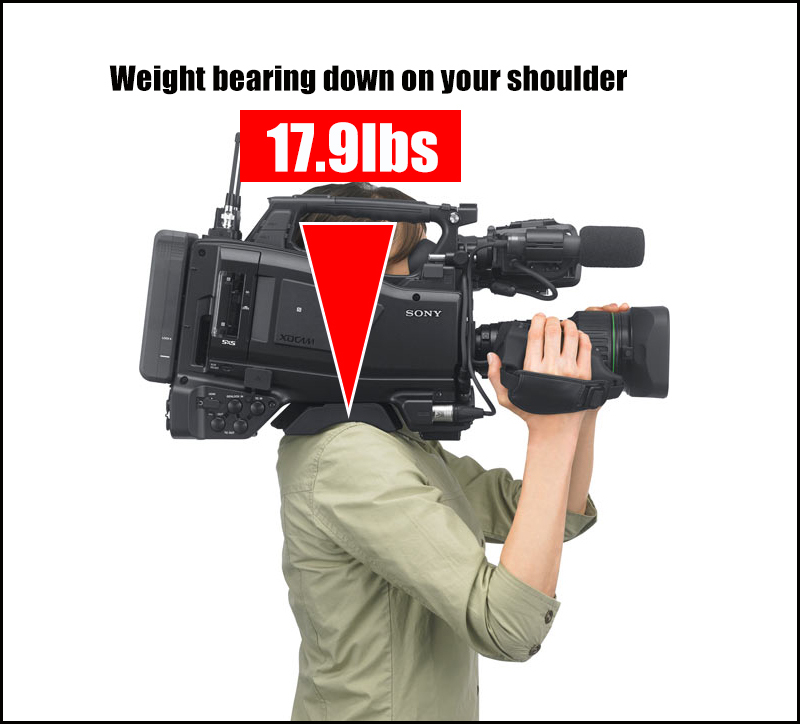 No matter how you dress this graphic up holding 17.9lbs of camcorder for a day will still harm you, I am testimony to that. 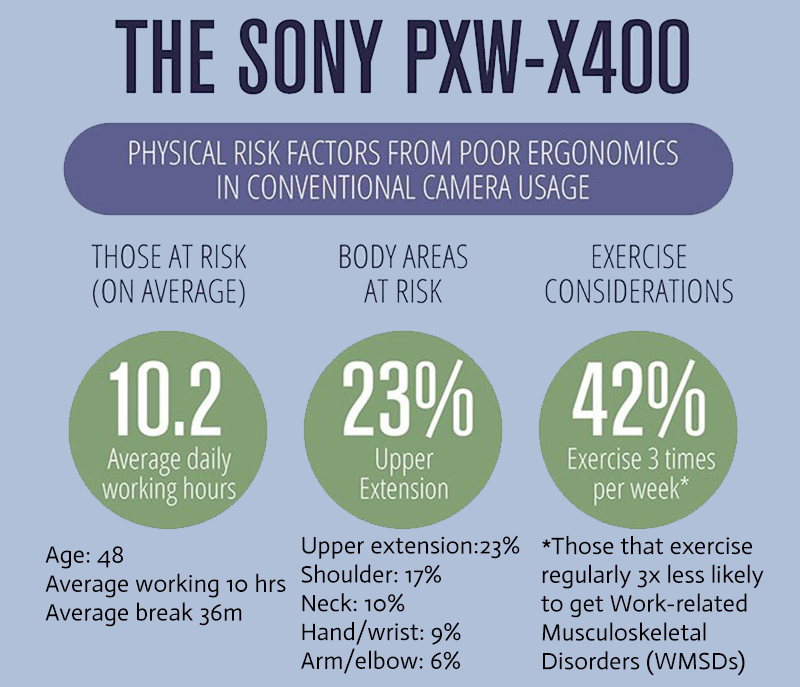 I had a Sony PMW-350 during 2010 and I loved this camcorder, apart from the weight on my shoulder, which eventually led to a very painful right arm which still bothers me today. Seven years later I have very little feeling in my index finger due to a damaged nerve. Dont kid yourself its all about the weight bearing down on your shoulder thats the main problem, a balanced camera will not feel any lighter. 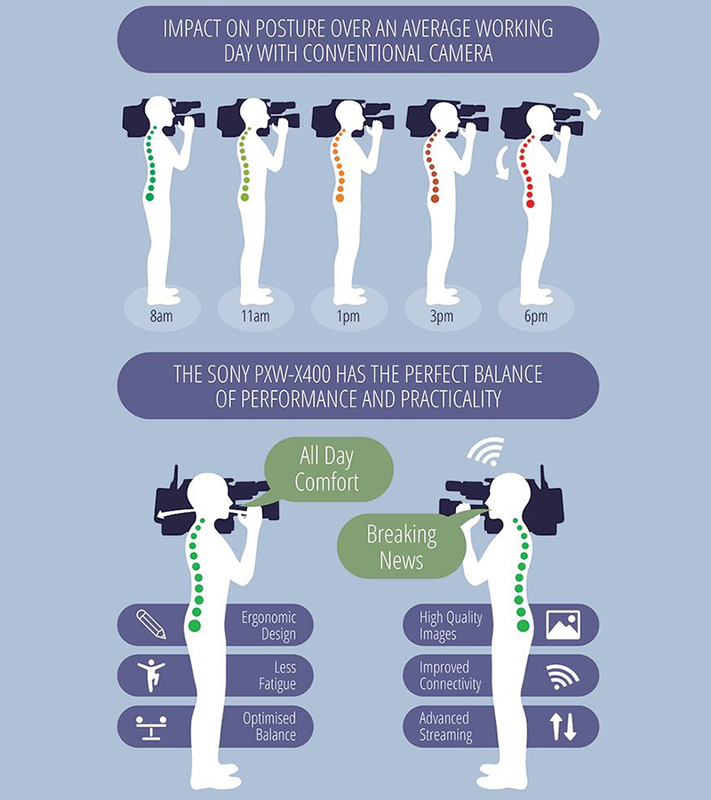 Only with the addition of an Easy Rig could you hold this camcorder all day without sustaining shoulder damage. 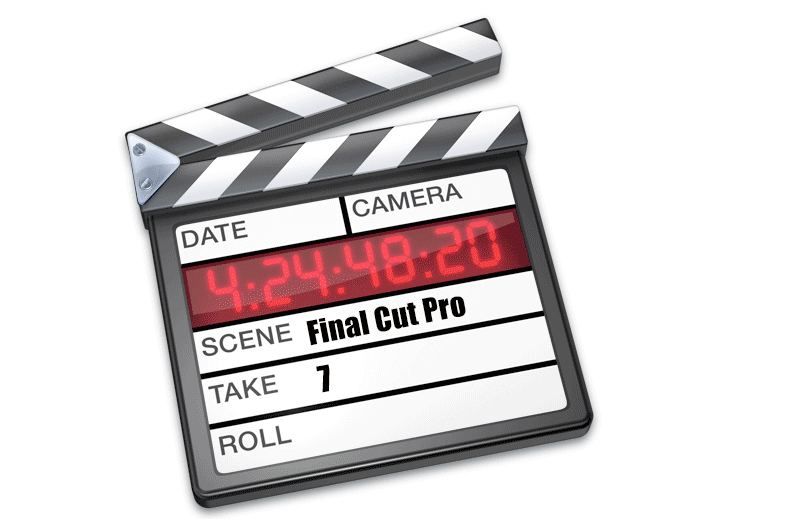 Final Cut Pro 7 won’t work with macOS High Sierra…You have been warned ? Customers using earlier versions of Apple Pro Apps—including Final Cut Pro, Logic Pro, Motion, Compressor, or MainStage—need to update their apps to be compatible with macOS High Sierra, available this fall. If you install the macOS public beta, Apple strongly recommends installing it on a secondary system, or on a secondary partition on your Mac. Make sure to back up your Mac with Time Machine before installing any beta software. Having had a Canon C300, the best bit about the C200 is finally Canon have had the sense to put the XLR,s onto the body of the camera itself. 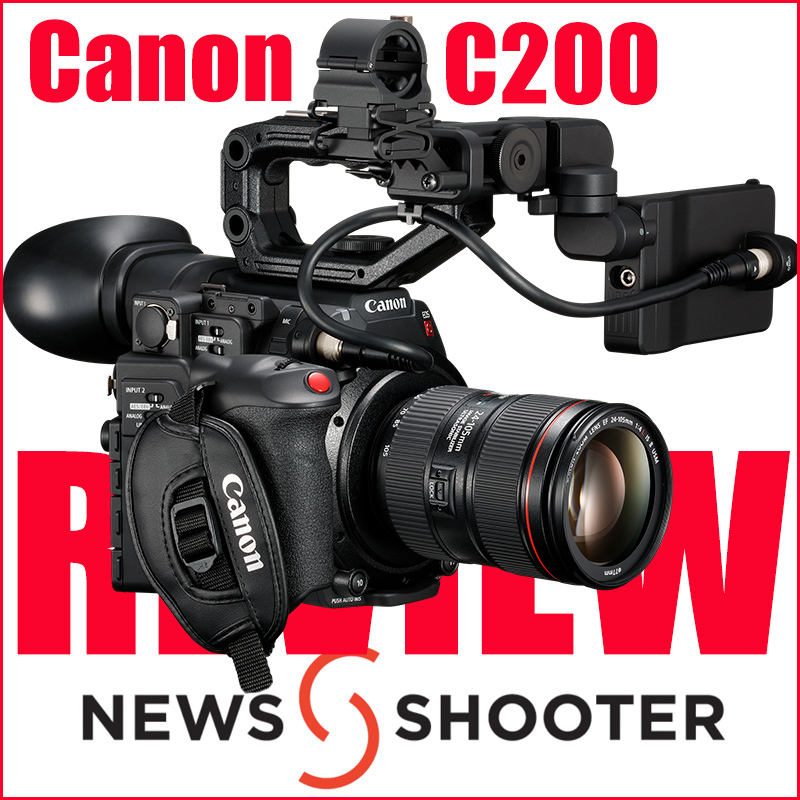 Like all of us these days we don’t have time to review every camera that appears on the market so here is a very good technical review of the Canon C200 by Matthew Allard, ACS accredited freelance Director of Photography with 27 years’ experience. 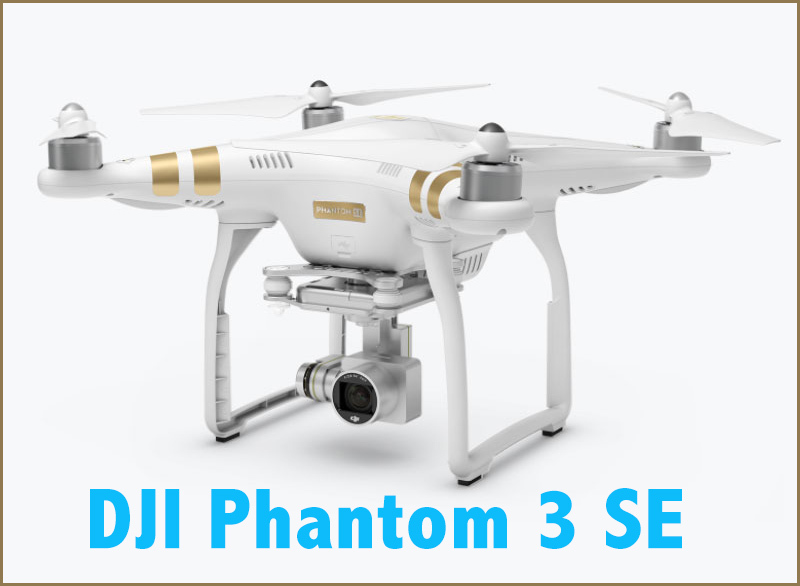 Just when you thought it was safe to look up to the sky DJI deliver another drone, the Phantom 3 SE. 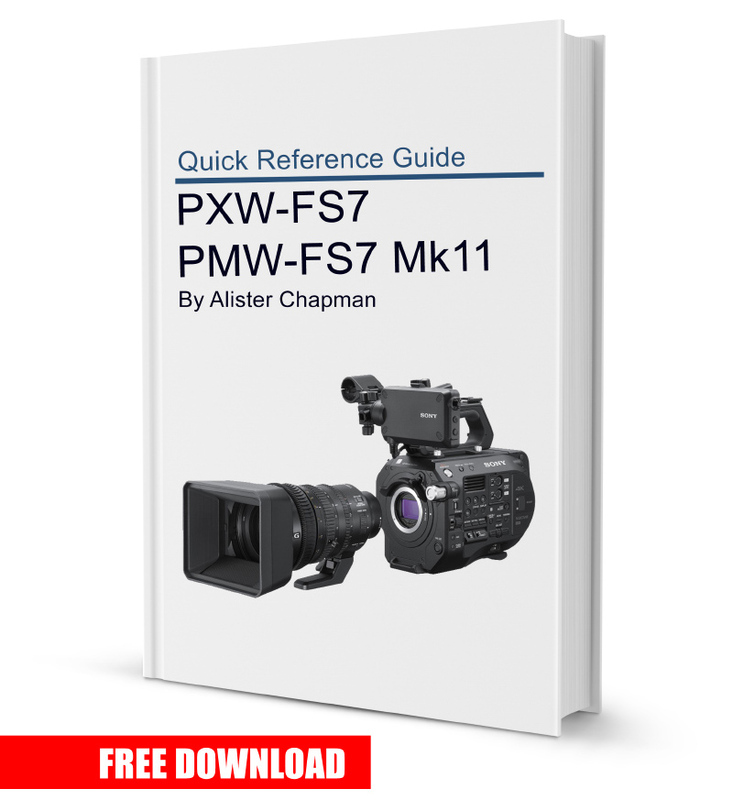 Alister Chapman “I was recently asked by Sony to write a user guide for the PXW-FS7 and FS7M2. Well it’s now complete and available for free download from Sony. The guide does not replace the manual but should act as a useful point of reference for those unfamiliar with the cameras. It should also help guide you through the use of the CineEI mode or change the various gammas settings in custom mode to suit different types of scene. 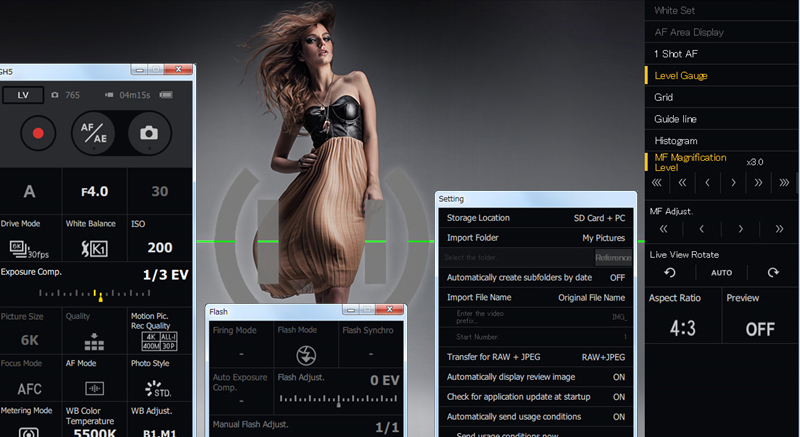 There are sections on exposure tools and controls, the variable ND filter, exposure tools and controls. Custom mode paint settings, Cine EI and LUT’s and additional information on the various shooting modes and functions. I trashed my last post because it was in my own opinion far to personal and not judged to be a good post about a new camcorder. 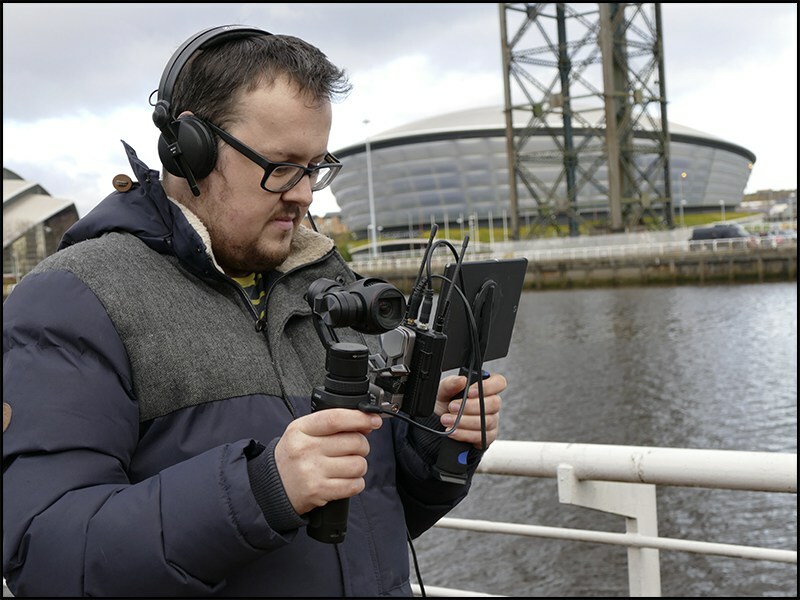 As more and more companies are moving over to Panasonic within the Scottish region thanks to having 10bit 422 camcorders like the PX270 and the GH5 lets take a look at their latest offering the super 35mm large sensor EVA-1. The wide 14-stop dynamic range, V-Log gamma and wide-color- gamut V-Gamut colorimetry, which are inherited from the VariCam Series, ensure cinema-like pictures. Dual native ISO of 800/2500 offers very high sensitivity with low noise. 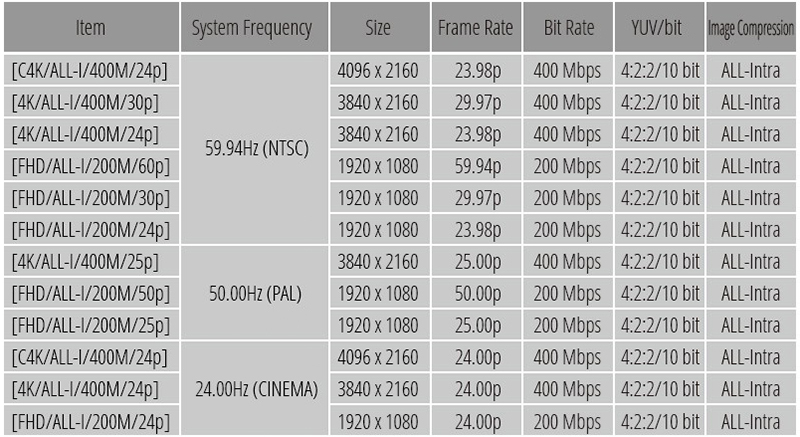 Supports High-frame-rate recording of 4K 60 fps/2K 240 fps maximum. The main unit is lightweight and compact, weighing only 1.2 kg. It is equipped with an EF lens mount. The LCD monitor features a touch-panel function and allows flexible mounting. 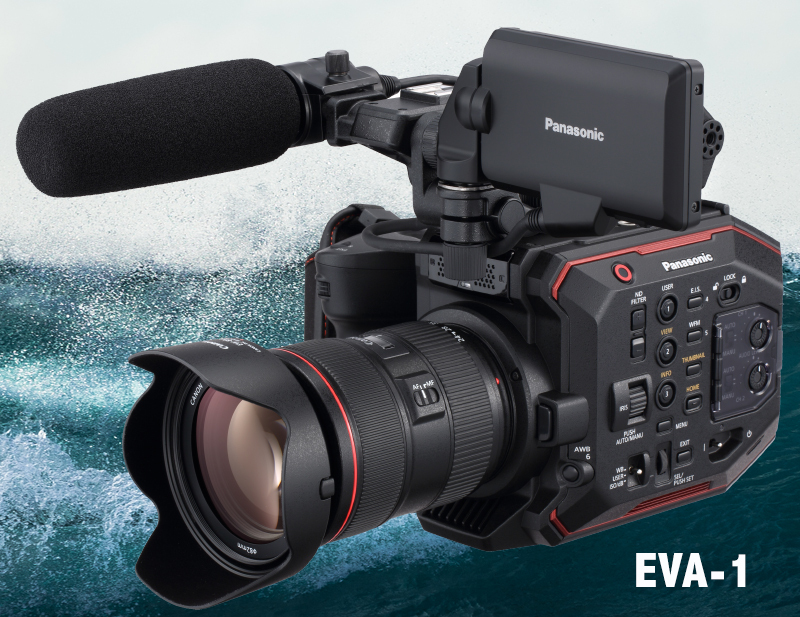 Panasonic have decided EVA-1 is more hi end than we were expecting hence the price £7,458 after 20% vat is added. I am not going to beat around the bush and say I was rather disappointed in the price as I thought we were getting a camera that was a bit dearer than the AF101 £4,200, I plumbed for a price of £5,500 being closer to what I had decided was the EVA’s competition. Price aside so far we have not yet seen any footage from the camera, that will come closer to IBC 2017 in September. Running 4K 50p will be the making of this camera for me personally as it will integrate with my GH5’s. 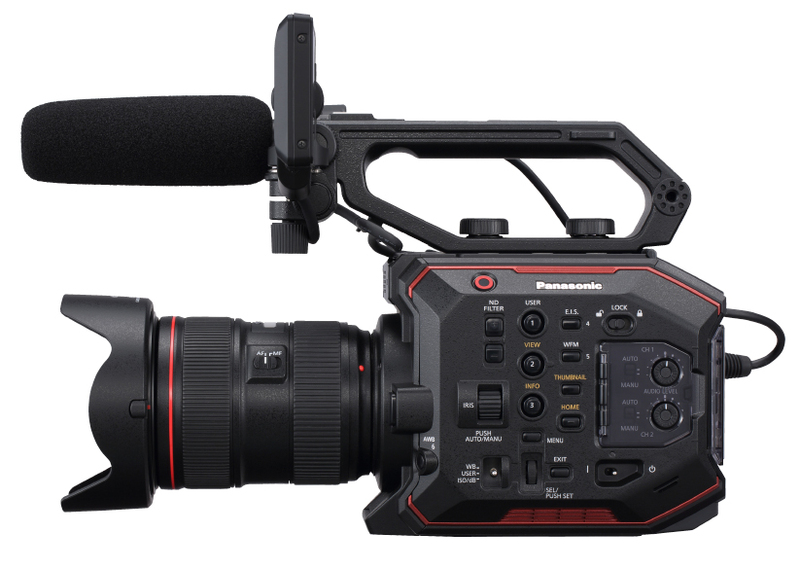 I still think EVA-1 will be a cracking large sensor camcorder, I am personally glad Panasonic went down the super 35mm route and not the micro four thirds. Giving the camera a Canon EF mount will allow us to enjoy a lot of the new Sigma ART lenses especially the 18-35 f1.8 (29-56 with 1.6x crop).